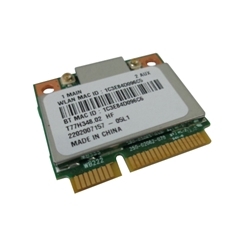 Description: New genuine Acer laptop WIFI WLAN wireless card. Compatible Part #'s: NU.SGPSI.024, T77H348.02, 0741-12-6534. Acer Aspire E1-531, E1-531G, E1-571, E1-571G, E5-531, E5-531G, E5-531P, E5-571, E5-571G, E5-571P, E5-571PG, EK-571, EK-571G, M3-481, M3-481G, M3-580, M3-580G, M3-581, M3-581G, M3-581PT, M3-581PTG, M3-581T, M3-581TG, M5-481, M5-481G, M5-481T, M5-481TG, M5-481PT, M5-481PTG, M5-581G, M5-581T, M5-582PT.